Probably a coincidence, but out of all my alts (20 or so) I only ever got this pet on my two different priests and it was one right after the next. Same day in the same hour. 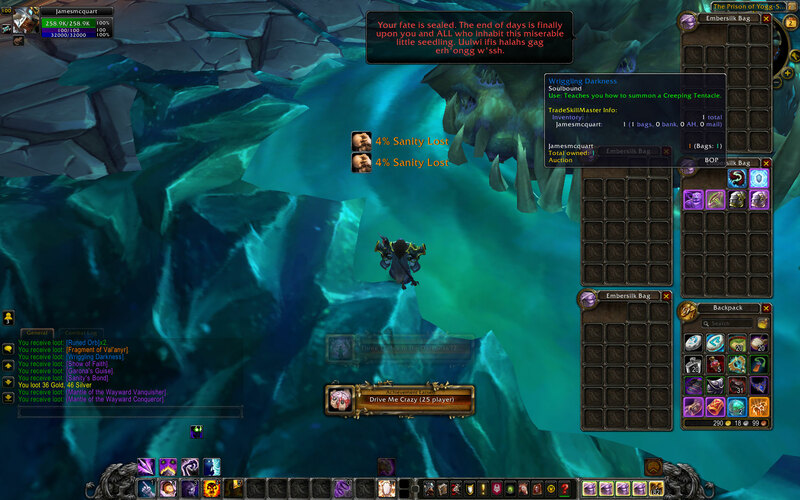 I was getting annoyed at this low drop rate considering the others were much more generous but I can confirm I got one wriggling to drop on a belf DH, 101, 10m hard mode (no lights). This was around attempt #30. I've gotten two snobolds already. Just an awful drop rate on this one. Then again nov3 hotfixes maybe it was broken after all! 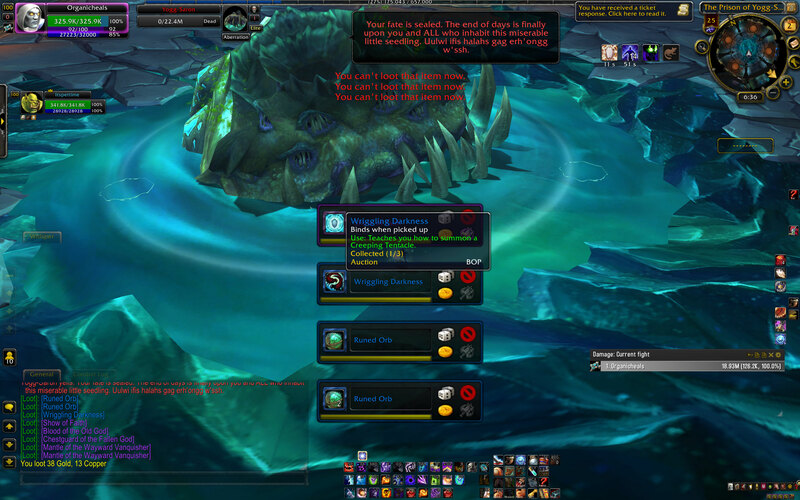 "The Creeping Tentacle battle pet will now correctly drop on all difficulties of the Yogg-Saron encounter." I was making a guide when this dropped, had no idea it existed! The Oscuridad sinuosa gives the pet Tentáculo trepador. This drops off Yogg-Saron in Ulduar on any difficulty. This pet is needed for Bandas con correa IV: La caída del Rey... ¡Ardilla! and can be bought and sold on the Auction House. Uso: Te enseña a invocar a un tentáculo trepador.